Pixels and kitties? Yes please! Finally some interesting indie (super-weird) game! Do you like pixels, fast-paced action and cats? Well, if you’re answer is yes, Jones On Fire is your dream game! 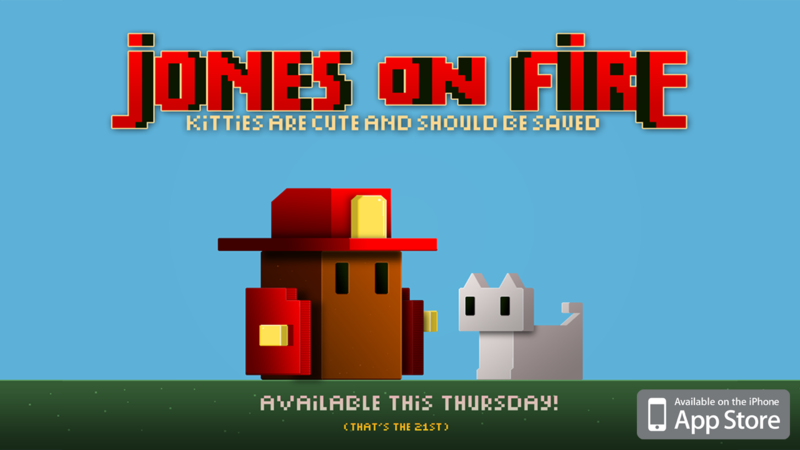 Jones On Fire, developed by Glass Bottom Games, is a run-and-jumper about firefighter Emma Jones and kitties (which should be saved). 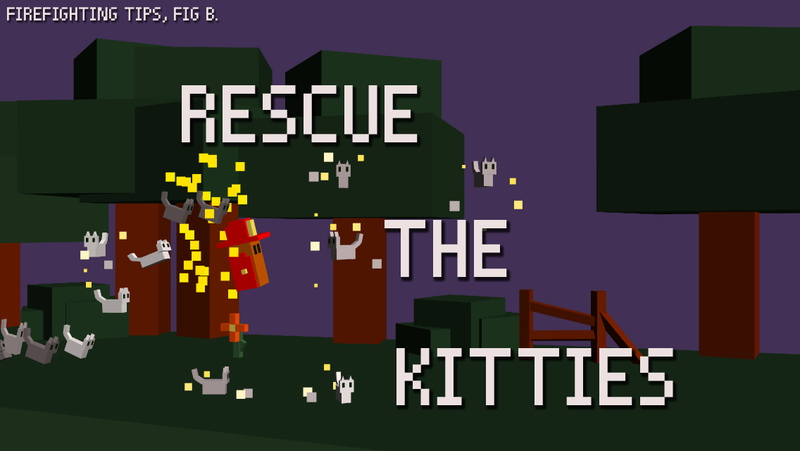 As Jones, you’ll be tasked with running through 10 levels of hilly terrain, much of it on fire, for one purpose only: to save the kitties! Through saving kitties, you’ll gradually unlock the true potential of Jones, which will allow you to save even MORE kitties. Dominate your friends on the kitty-saving leaderboards, and gain the adoration of millions of cats! Jones On Fire began its life at BlazeJam, a 48 hour charity game jam to benefit those affected by the Colorado wild fire season of 2012. The game has evolved substantially since those days. It’s been rebuilt for mobile devices, all of the art has been redone or replaced, the moment to moment gameplay is substantially changed, a level structure was added, etc, etc. Compared to the alpha, the game Jones On Fire is a whole other animal. That is, except for the kitties. Those are still the same animal. Jones On Fire will be released on iOS o February 21st. If you’re super-hyped, kill the waiting with the trailer.